Well I hope you’ve been coping with our sudden warm weather. It certainly never gets boring in Melbourne. I love the summer and tend to fire up in the heat although I know it’s not everyone’s cup of tea. For some of us it can also be a little challenging at the beginning of daylight savings when it feels like you lose an hour’s sleep every night for a while. It can be especially difficult when you have children who rely on their own body clock rather than what the clock says. I’m lucky enough to be able to choose the time I start work so no 9am appointments this week, sorry. Did you know that there are a number of natural techniques to reset your body clock? I don’t necessarily practice what I preach but the quickest way to adjust to daylight saving is to stick to the new time as much as possible in terms of going to bed and getting up in the morning. It also good to ensure you have meals according the clock rather than your body’s hunger signals. You may not be that hungry an hour earlier than your usual mealtime so you don’t need to eat very much but stick to your normal routine and you and your children will soon adjust. Now normally I wouldn’t advise people to eat by the clock so this week is an exception. It’s actually quite an important part of our approach to weight loss to teach people listen carefully to their body and only eat when they’re hungry. I find it really interesting that many people with a weight issue tell me that they never feel hungry. They simply eat because its breakfast time, lunchtime or dinnertime. They might also include morning tea, afternoon tea and supper like I did many years ago. I had completely lost contact with my body’s need for food and consequently put on quite a bit of weight. When I ask clients to check in with their stomach and let me know on a scale of 1 to 10 how hungry they are, they will often think about how hungry they should be, They will refer to the time and tell me when they last ate, or how long til their next meal. They don’t actually connect mindfully with their stomach. When we decide when, what and how much to eat according to something outside ourselves like the clock, or the availability of food, or what the chef (or our mother) has put on our plate then we are using what Psychologists call an “external locus of control”. We allow something or someone else’s rules to control our eating behaviour. This also applies to a new diet plan, or what a friend has told us that helped her to lose weight. It applies to calorie counting and weighing portions of food. It’s a very left brain way to eat and its gets us into trouble. This is the way people eat when they have a weight issue. They don’t listen to their body and don’t trust themselves to make their own decisions about food. They’ve lost connection with their body, its appetite and its wisdom. Eating this way is like putting a set amount of petrol into your car every week. Some weeks you’ll run out of petrol and get stranded somewhere and other weeks you’ll be standing at the petrol station and the petrol tank will be overflowing. It doesn’t make sense to run your car like this because how much fuel you use in a week depends on lots of different things. It’s exactly the same with your body. Your natural sense of hunger and satisfaction is your body’s fuel gauge. It’s incredibly elegant and accurate and when its working right it will let you know when you need to eat and when you’ve had enough. The trick is to keep out of your head and out of the left side of your brain (the bit that does the maths) and start to listen to, respect and honour your stomach’s messages. This inner fuel gauge will adjust your appetite according to dozens of different variables like how active you’ve been since your last meal, what that meal consisted of, the temperature of the day, how much you’re wearing (you’ll get hungry quicker if you’re cold), how well or sick you are, how stressed you are, how much sleep you’ve had and many other factors. No diet plan takes all this into account. Your body’s innate wisdom is quite incredible so once you’ve adjusted to daylight saving why not spend a week really listening to your stomach and gauging where you are on that scale of 1 to 10 every time you eat. Ten is so full that you couldn’t eat another thing. Zero is so hungry you could eat anything that stood still long enough. Tune in now and determine how your stomach is feeling. Where are you right now on that scale? If you’d like more tips and strategies on how to achieve and maintain your ideal healthy weight without dieting then you might like to book an appointment with Manuela Picinich, our Weight Loss Specialist. Manuela has some amazing tricks up her sleeve to help you change your mindset around food, how to enjoy the sweet or fatty foods safely and how to stop emotional eating altogether. Manuela also runs our Virtual Gastric Banding Program. This program actually alters your perception of the sensations from your stomach so you actually reach a 7 on the appetite scale with very small meals. Its quite remarkable and much safer than surgery! If you want some extra support to change your eating behaviour I’ve created a CD called Weight Off Your Mind that can help you make those changes surprisingly easily. You can order or download the CD HERE. Thats all for now. Take a look at the right hand column for our upcoming events. 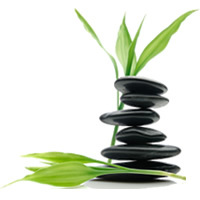 We have a great workshop called Excel and Succeed on Saturday with Christine Long, a fabulous Bliss Day this Sunday and our awesome Stress to Serenity in 8 Weeks is starting next Tuesday evening.